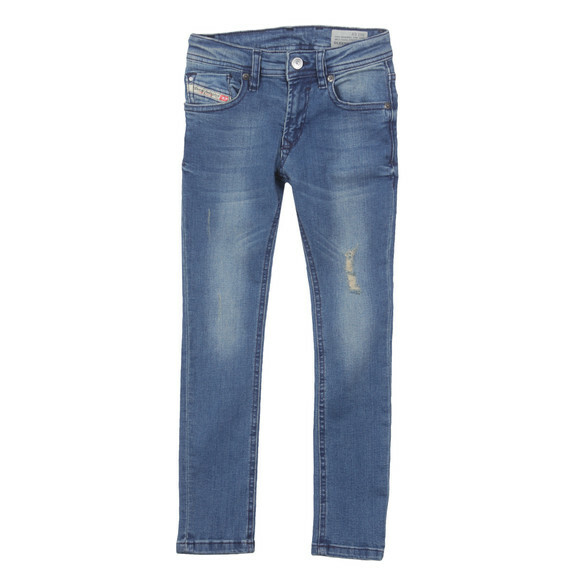 Diesel Boys Sleenker Jeans have been formed in a distressed, worn style with ripped detailing to the front leg and a faded effect throughout. 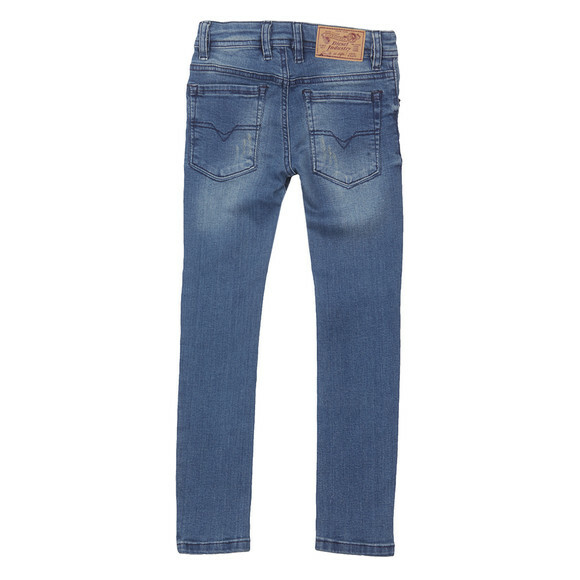 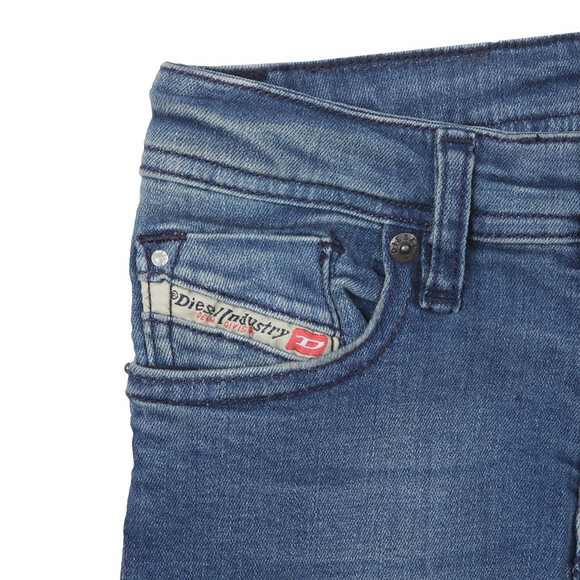 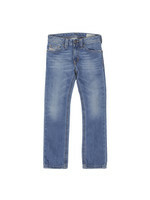 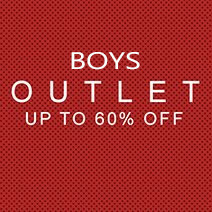 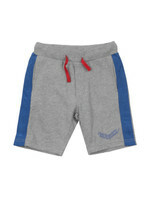 The boy's denim jeans are a slim-skinny fit and have a slight stretch. 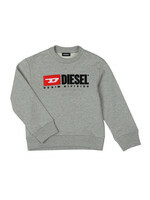 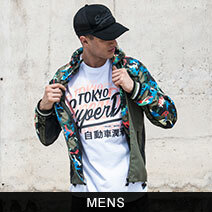 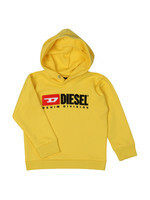 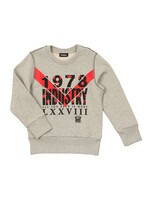 Diesel branding features within the inner pocket.